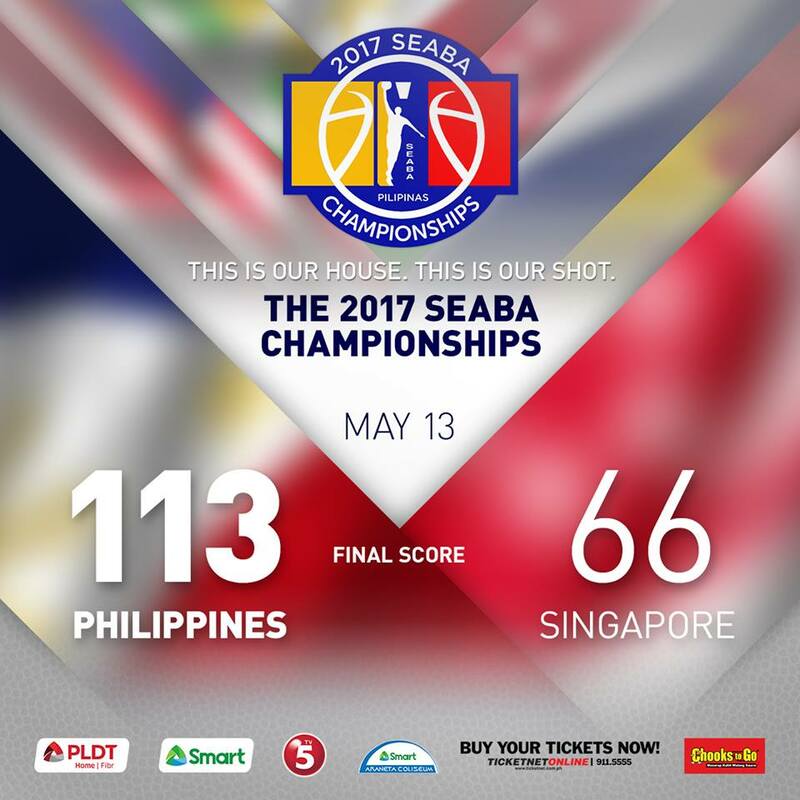 Gilas Pilipinas pounds Singapore, 113-66 in SEABA 2017 - Balita Boss! 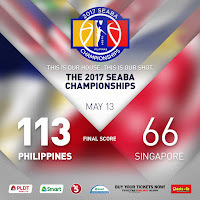 The Philippine men's basketball team Gilas Pilipinas rolled to its second straight victory as it clobbered Singapore, 113-66 in the 2017 SEABA Championship on Saturday, May 13. Calvin Abueva once again led the team in scoring with 16 points and 5 rebounds. Andray Blatche and Allein Maliksi added 14 points each. Matthew Wright, the best player of the game, scored 13 points on 5-of-8 shooting. In order to qualify for the FIBA Asia Cup in August and the Asian Qualifiers in November, the Philippines will need to overcome regional rivals. The Gilas Pilipinas will be against Malaysia for their third game on Sunday, May 14 at 7 pm.